The Consumer Financial Protection Bureau has become a setting for high drama. On Friday former CPPB Director Richard Cordray abruptly stepped down from his post, resigning eight months before the scheduled end of his five year term of service. In his place, Cordray named the recently appointed Deputy Director Leandra English as his interim successor, as is stipulated in the agency's authorizing statute. Later that same day President Donald Trump named his own acting Director of the CFPB, Office of Budget and Management Director Mick Mulvaney. Mulvaney is a fierce opponent of the agency, having in the past called it "a sick, sad joke" and supported legislation to eliminate the CFPB altogether. Trump, too, has criticized the CFPB and its mission. On Saturday, he took to Twitter to call the agency "a total disaster" due to which "Financial Institutions have been devastated and unable to properly serve the public." The result has led to confusion and a lawsuit over who currently leads an agency dedicated to addressing the asymmetry of information and leverage that exists between financial institutions and consumers. 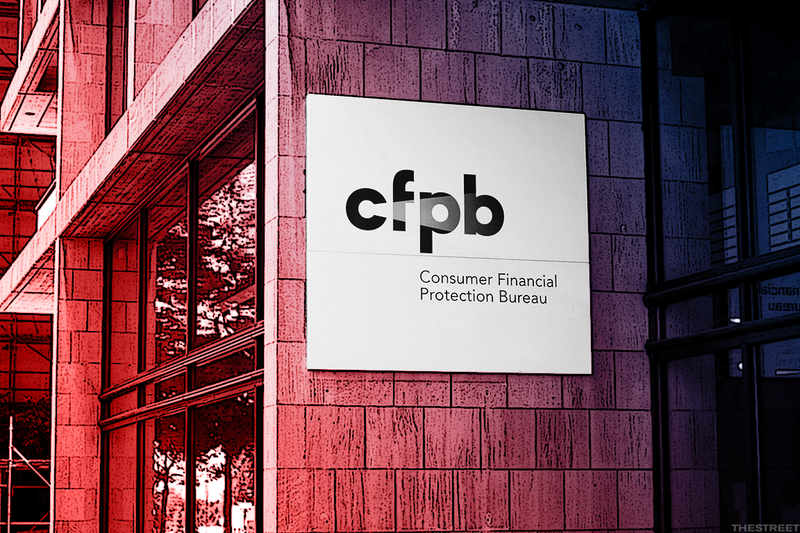 As many Americans have experienced during recent scandals such as banking fraud and predatory student debt collection practices, the CFPB's mission is increasingly relevant. Financial firms generally know far more about the system than the average consumer, and they often take advantage of that knowledge to push unfavorable terms. Stopping that, and making finance more consumer friendly, is the sole mandate of the CFPB. Enforcement may be the agency's largest public-facing function. The CFPB enforces regulation on consumer finance, practices and disclosures. In years past, the federal government has struggled to regulate all of these various industries effectively. The CFPB was formed to consolidate oversight into one office, while at the same time expanding the federal role past traditional banking to the array of non-bank services such as payday lenders, private mortgage brokers, check cashing services, debt collectors and more. Millions of Americans who don't have traditional bank accounts or credit cards rely on these institutions, often to their detriment. In the six years since its formation, the CFPB has collected more than $12 billion in fines from institutions both large and small. Many of these enforcement actions also include restitution to consumers harmed by illegal financial practices, providing both a deterrent for bad actors and a way for individual Americans to get their money back. High profile enforcement actions by the CFPB include breaking up Wells Fargo's (WFC - Get Report) secret account scheme and returning millions of dollars to borrowers in illegal student debt collection practices or credit card schemes. The agency also acts to prevent debt collectors from collecting on bad debts and even corrects problems with credit reporting agencies, a problem burdening roughly one in five Americans. It's as an enforcement mechanism that the CFPB interacts most directly with average consumers, but this is not its only duty. The Dodd-Frank Act established the CFPB as part of the basket of financial reforms intended to prevent the Great Recession from happening again. Economists and academics have generally lauded its work on that front. As a regulator, the CFPB focuses on both best practices and closing the information gap between financial professionals and consumers. It runs programs aimed at educating the general public about their rights and responsibilities when it comes to banking and debt. This includes requiring banks to explain their terms more clearly to customers and publishing initiatives like the Know Before You Owe series. It publishes simplified credit card agreements for companies to use, and has increased transparency on student loan disclosures. From a public-facing perspective, the agency's goal is to help consumers better understand what they're getting into with a financial transaction. From the consumer's point of view, this leads to simplified and clarified financial terms. Television commercials have to be more careful about misleading statements, for example, and can't target vulnerable populations as aggressively. Elderly Americans and veterans, both historic target groups for predatory lending, receive fewer offers than they once did and over the past six years have received checks to reimburse them for financial scams. Together, this is all part of a package of regulatory reforms and activity that help consumers improve their relationships with their banks, and which help reduce opportunities for banking misconduct. In October the CFPB announced a new set of regulations on payday lending services. These rules restrict behavior by these businesses with an "aim to stop debt traps by putting in place strong ability-to-repay protections." This is a major part of what the CFPB does. The CFPB passed this and other rules as a part of its mandate to oversee non-bank institutions, which the federal government previously didn't do. It was a vast blind spot in consumer protection in a nation where 9 million households don't have access to a bank account and 20 million use payday lenders. Under previous heads it has taken to this job aggressively. Among other accomplishments, the CFPB has shut down fraud in many check cashing businesses, places which routinely take advantage of people who have few better options. It has ended illegal student loan garnishments and default by many private lenders. It has promulgated new rules of procedure and reporting for nonbank financial institutions to help protect consumers against future acts of fraud and abuse. These activities might all happen with little fanfare, but in a country with $6.2 billion in private loan debt and millions of Americans reliant on non-banking institutions for financial services, it has played an important role in curbing the worst of past abuses. The current Republican government, both in Congress and the White House, has argued often against the CFPB both in form and function. They argue that the agency has harmed investment and innovation and, by extension, the livelihoods of average Americans. There is little reason to believe that any of this is true. As a prima facie matter, the financial sector has made record profits in both 2016 and 2017. Banks and credit card companies are significantly outperforming past years, despite billions of dollars in enforcement by the agency. What's more, Republicans themselves have often complained that the agency under-enforces on many actions. In the wake of fall's Wells Fargo scandal, many GOP lawmakers criticized the $100 million fine levied by the CFPB as being far too lenient. It's hard to square the idea that the CFPB has put its boot on the neck of a record-breaking industry, while at the same time those same critics argue that it goes too easy on big banks. Republican lawmakers have never addressed these concerns, nor attempted to back their arguments up with solid evidence. Despite rhetoric about an unaccountable, out-of-control agency, they routinely fall back on ideological or abstract arguments about the free market in the place of neutral studies and reliable, third party findings. As a result, it is difficult to test the strength of their claims, or to give those claims much serious weight at all. This is not a he-said, she-said situation. Republican lawmakers will likely work to dismantle the CFPB's oversight capacity because they dislike the agency's existence. They will also, most likely, continue to fail to back up their opposition to the CFPB with any grounded analysis. In the meantime, for the average American consumer, this agency has actually done quite a lot that has probably made your wallet a little bit more secure than it was just a few years ago.